LAHORE, July 5 (APP): Railways Minister Khawaja Saad Rafiq on Tuesday expressed his firm resolve to pursue the Royal Palm and Golf Club case in the courts till justice was done. Addressing a press conference here at the Railways Royal Palm Golf Club, Saad said the club was constructed on the Railways land under the 15-year-old agreement between the club’s previous management and the then Railways authorities, which had been terminated due to default of over two years payments. He said the Railways was facing cases regarding the Royal Palm Club in lower and higher courts, besides at the National Accountability Bureau (NAB), and it would defend its rights at all levels in accordance with the law and Constitution. He said the court, in its recent judgement, did not nullify the club’s possession by the Railways management, however, it had constituted a three-member committee to supervise its (club’s) financial matters. The previous management had been allowed to deal with only its operations, he added. present its reservations before them. The minister said the Railways, a national institution, was fighting with the forces of status quo for the rights of the common man. The department was growing day by day and the nation and other state institutions should support it for the just cause, he added. 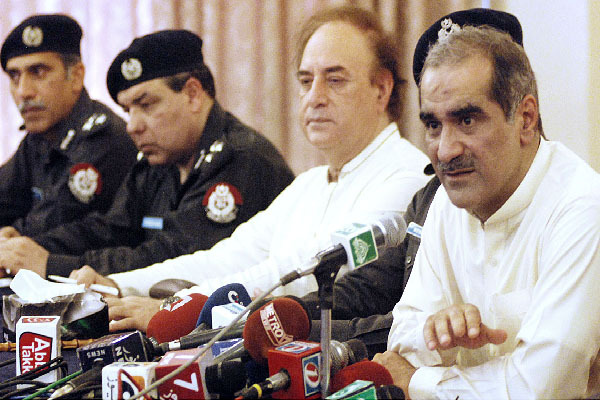 Saad Rafiq said he would never allow the status quo mafia to exploit the rights of common man. He said that the previous club management was not only defaulter of the Railways but it had also not paid Rs 120 million to a private commercial bank.